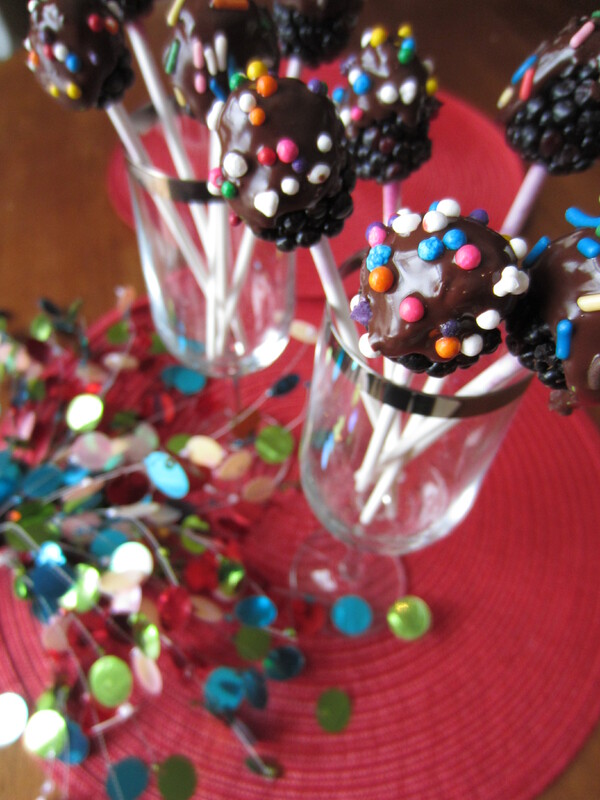 Chocolate and Valentine’s Day go hand in hand. So instead buying a box of chocolates, why not surprise the special people in your life with homemade chocolate truffles? 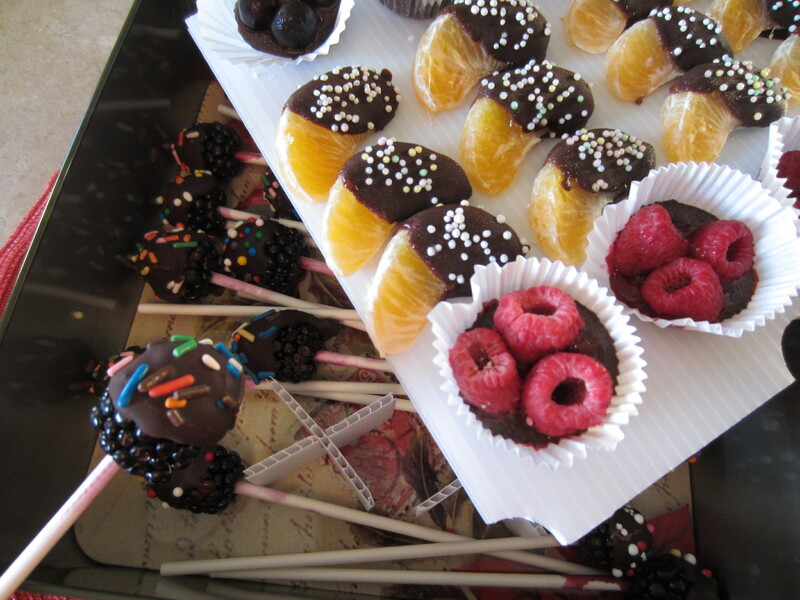 Truffles or homemade chocolates sound like it would be intimidating or difficult to make. They are actually very easy, quick and only require a handful of ingredients. This recipe used semi-sweet chocolate chips, cream cheese and confectioner’s sugar. They can easily be rolled into balls or shaped using a small cookie cutter. 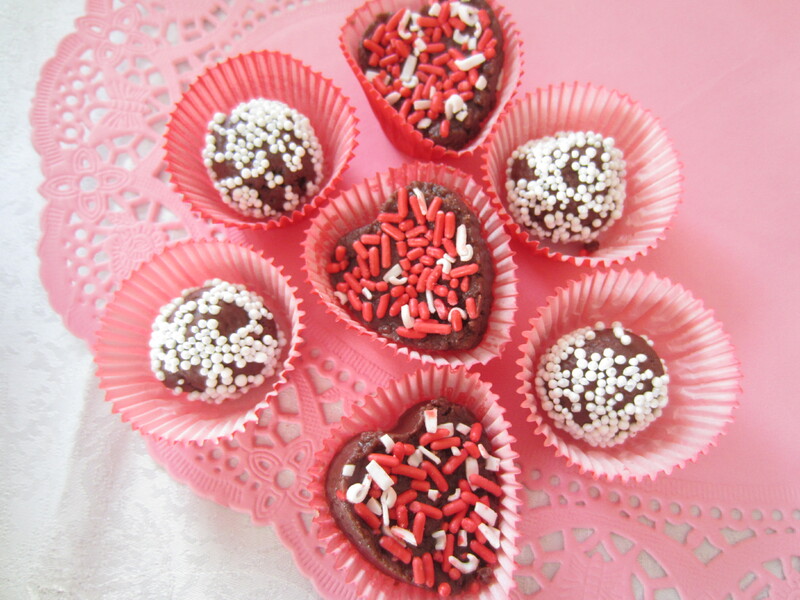 Truffle balls can be rolled in sprinkles, cocoa, chopped nuts or shredded coconut. 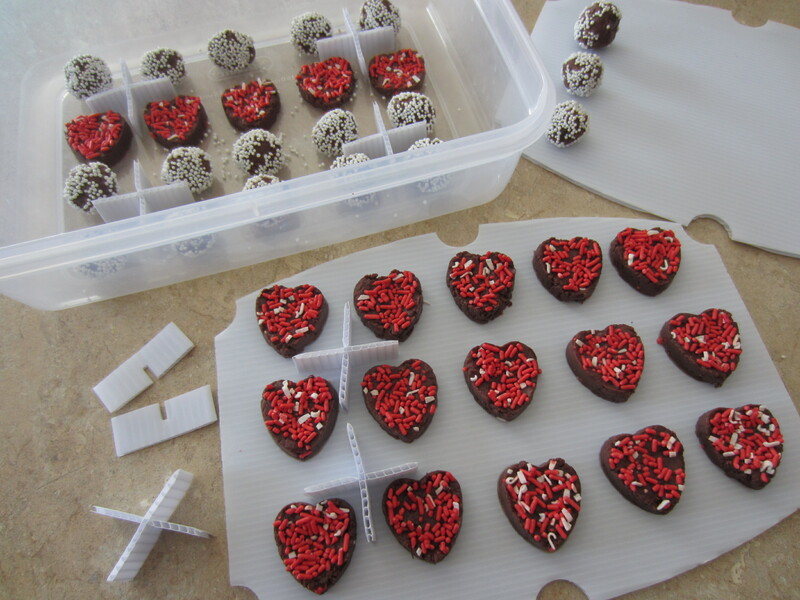 Using a 1 inch heart-shaped cookie cutter, the chocolate truffle mixture could easily be pressed into a heart shape. 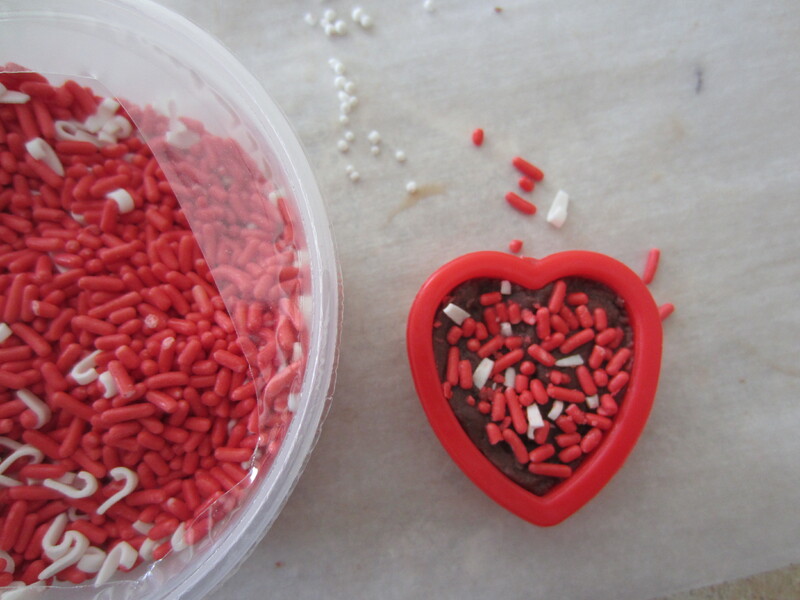 Decorative sprinkles can be placed on top, pressing down lightly and the chocolate heart can easily be removed from the molded shape. 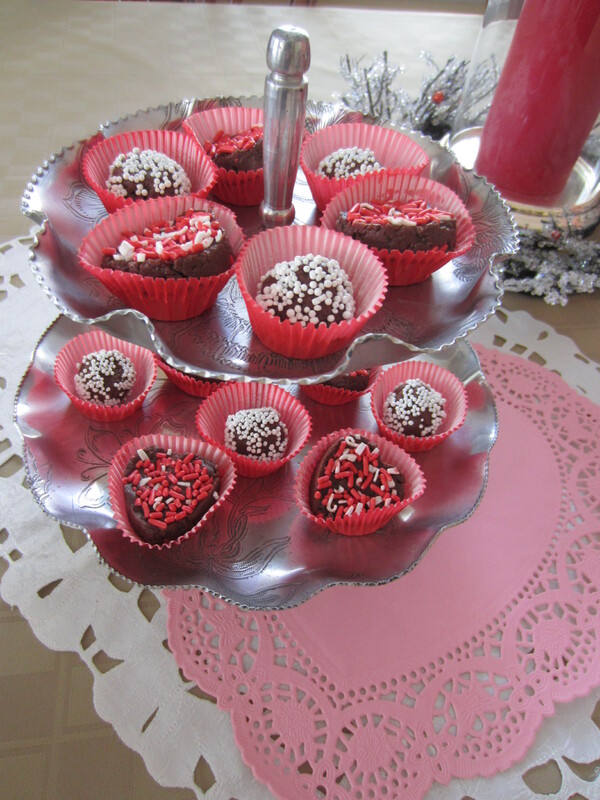 These chocolate truffles should be stored in the refrigerator to set and later stored in an air-tight container. Instead of fighting with curly parchment paper or trying to squeeze large cookie sheets in your refrigerator, homemade chocolates can be placed on reusable plastic trays made to fit an air-tight container you already own. 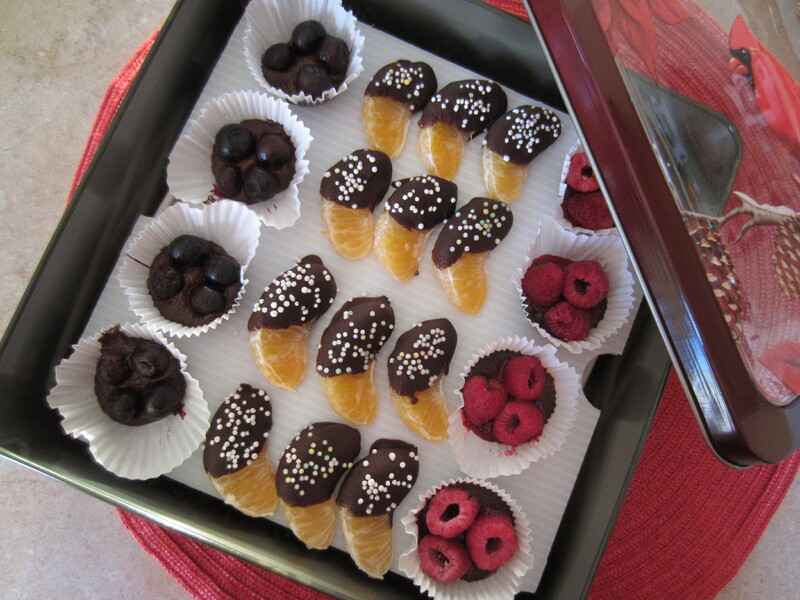 Sweet Stackers can separate and layer the chocolates in multiple layers in one container. They create a working surface that can be easily lifted and placed in your container. One step, without transferring from parchment lined cookie sheets to a container. Plus this helps prevent them from sticking, melting together or messing the decorations. In a small mixing bowl cream softened cream cheese using an electric mixer. Reduce mixer speed and gradually add confectioners sugar. In the meanwhile, melt chocolate chips using a microwave or a double boiler (a heat proof bowl placed over simmering water). Add melted chocolate to the cream cheese mixture. The mixture will be stiff and easy to work with. Scoop the chocolate using a melon baller or small ice-cream scoop to ensure uniform size. 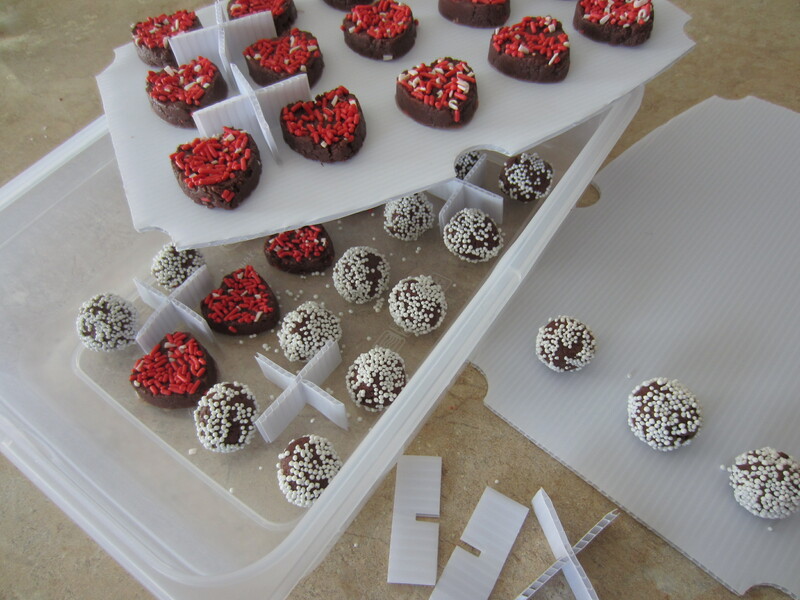 Shape the chocolate into balls and immediately roll in sprinkles, cocoa, chopped nuts or shredded coconut. 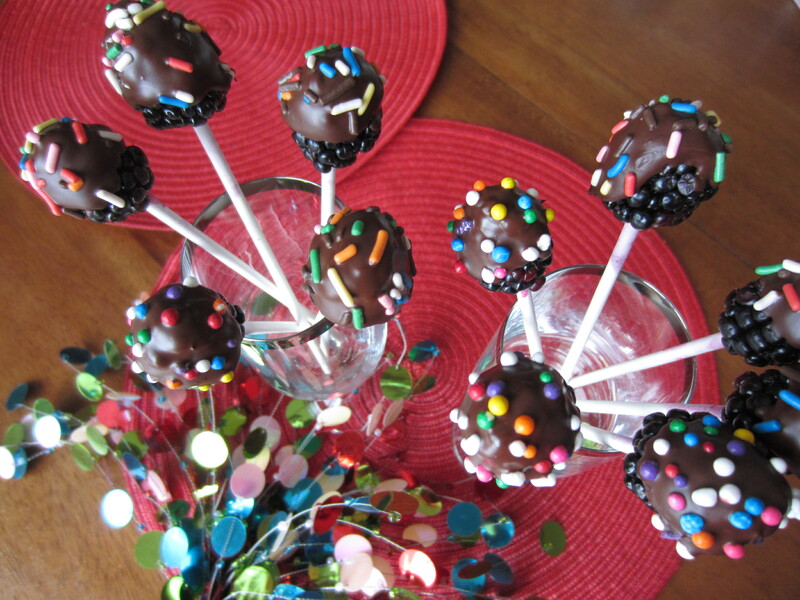 Truffle mixture can also be molded into shapes using a mini cookie cutter, coating in sprinkles. Chocolate truffles should be refrigerated. Share the love and Happy Valentine’s Day!